Valeriya was born on the April 17, 1968 in a small town Atkarsk (Saratovsky region) in middle Russia in a family of classical musicians. She studied piano at the only musical school in the town where her father Yuri Ivanovich was a director and her mother Galina Nikolaevna was a teacher. Since her early childhood Valeriya knew that she wanted to be a singer. 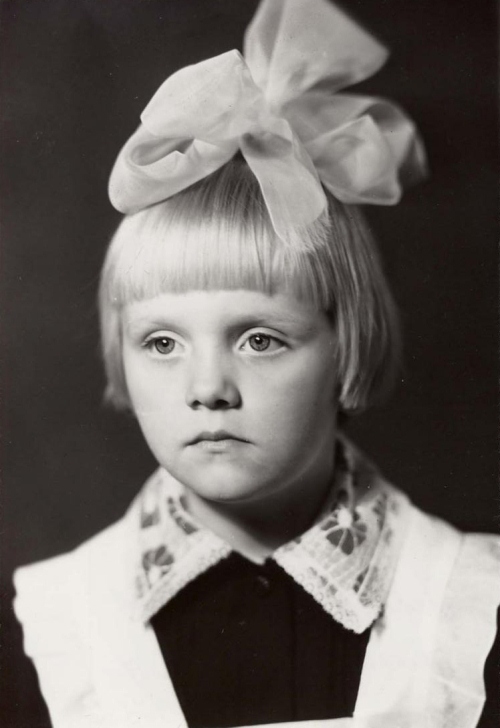 In 1985 Valeriya left her hometown and moved to the capital of Russia. In Moscow she entered the most famous music academy in Russia – Gnesin Academy of Music – and successfully graduated from it in 1990. Among her teachers were People’s Artistes of Russia: professor Iosif Kobzon and Gelena Velikanova. In 1989 Valeriya recorded her first album in English “The Taiga Symphony”. At the same time she recorded an album of traditional Russian romances “Pobud’ so mnoi” (“Stay with me”) which was released by “Olympia Disk” UK company. At the beginning of her career Valeriya took part in various contests for young singers. 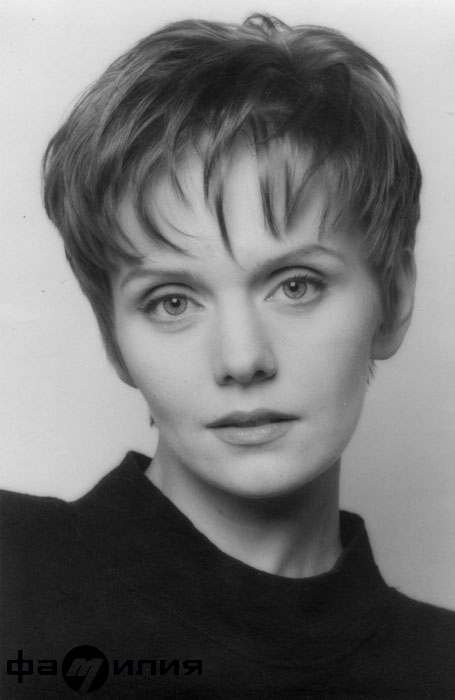 In 1992 she won the first prize in a national TV contest “Morning Star”, in 1992 she won an international contest “Bratislavskaya Lira” and got an Audience Choice Award at “Yurmala-92” festival. In 1993 Valeriya began to work on her studio album “Anna” together with her husband Alexandr Shulgin who was also her manager and as well as her song writer. At the end of December, 1995 Valeriya released “Moya Moskva” (“My Moscow”) single and in 1996 she presented to the public her album “Anna” that had been staying on top of various charts for quite a long time and made the singer widely popular. From artistic point of view, ‘Anna’ was Valeriya’s masterpiece which she was never able to reach in the future. The same year Valeriya became a teacher at the Gnesin Academy of Music. In 1997 Valeriya finished her album “Familia. Chast’ 1” (“Family name. Part 1”). Later the singer released several successful albums (“Glaza Tsveta Neba” 2001) but in 2001 she suddenly left the stage because of difficulties with her manager and family circumstances. In April, 2003 the contract between Valeriya and her manager was legally terminated. Only after a long period of silence Valeriya found courage to get back on stage. On April 7, 2003 she signed a contract with a famous manager Iosif Prigozhin and his company “NOX Music”. In 2003 Valeriya released her new long-expected album “Loveland” which sales exceed those of all her previous albums. In 2004 Valeriya got the Best Female Artiste awards from the two main national music channels – MuzTV and MTV Russia. Later she got numerous Golden Grammophone awards and an MTW RMA Award for the Best Song. In 2005 under the President’s decree Valeriya was awarded a title of “Honoured Artiste of Russia”. In the Forbes magazine list of 50 most highly paid people in movie, sport, literature and music industry Valeriya was ranked 9th (August, 2005). Valeriya has her own jewellery and perfume lines – “De Leri”. In 2006 Valeriya’s autobiography “Life, Tears and Love” was published. In the book for the first time she revealed shocking details of her marriage with Alexandr Shulgin. In April 2006 Valeriya released a new album “Nezhnost’ moya” (“My Tenderness”) and began to prepare her new concert program. In September she went on the album’s promo tour during which she gave more than 10 concerts in Russia and over 30 shows abroad. The tour was concluded with a grand sold-out show at a huge Olimpisky stadium in Moscow in November. In March 2007 Valeriya released a new album “Out Of Control” that was recorded in two versions: English and Russian. The album shows some great collaborations with outrageous producers and musicians such as Ray St. John (the author of Sade’s “Smooth Operator”), David Richards (record producer)(producer of several Queen’s albums), Chantal Kreviazuk (the author of hits performed by Avril Lavigne andGwen Stefani). One of the tracks is a cover version of famous disco hit “Stayin’ Alive” sang by the legendary Bee Gees. Valeriya recorded the track together with one of the Gibb brothers – Robin Gibb. In 2008 Valeriya became a goodwill envoy for the Russian Federation on behalf of the International Organization for Migration (IOM), an agency she has teamed up with for the past year to combat human trafficking. Valeriya’s anti-trafficking clips already appear on Russian television and she plans to dedicate some of her concerts around Europe next year to raising public awareness of the problem. Valeriya was a member of a jury in the Russian version of famous TV show “X-Factor”. She is regularly invited as a judge to the International contest for young performers “New Wave” in Jūrmala. In January 2009 Valeriya took part in Midem 2009 Rusia! Time for Partnership! day, co-organized with trade publication Billboard Russian Federation. She gave a show at The Midem Opening Night Party Russia at “Palais des Festivales” in Cannes. March – April 2009 Valeriya was a special guest at Simply Red “The Greatest Hits” Tour in the UK. In 2010, Valeriya joined forces with Avon as a celebrity judge for Avon Voices, Avon’s first ever global, online singing talent search for women and songwriting competition for men and women. Since 2012 Valeriya is a member of Cultural Advisors of the Russian president. In April 17, 2013 in CG Crocus City Hall held a grand concert of Valeriya “Birthday with friends”, with the participation of Symphony Orchestra “Russian Philharmonic” and show business stars. Studio album of the singer “Serpentine” was released in 2013 and included the lyrical songs, Russian romances, duets and cover versions of famous songs. In October 21, 2014 Valeria has introduced a large-scale concert, “Valeriya and Friends” concert hall in London’s Royal Albert Hall with the participation of other Russian singers. The concert was accompanied by the Royal Philharmonic Orchestra under the direction of British conductor Paul Bateman. A special guest of the concert was the son of Valeriya, a young pianist Arseniy Shulgin, winner of several international music competitions and festivals. In the spring of 2015, China appointed Valeriya to be the first European panda ambassador. In the summer 2015 Valeriya, for the fourth time won the Muz-TV award, this time for the best performer of the decade. Valeriya is currently married with Iosif Prigozhin. Valeriya has three children: Anna, Artemy and Arseny, whose father is her second husband.